Chad Strong is a Canuck, like myself. He's resided in Victoria, BC on the west coast, Manitoba prairies, and southern Ontario (my home turf). If he runs true to form, he'll continue moving east and retire in St. John's Newfoundland (the most easterly point in North America). Chad grew up reading fiction and non-fiction of all sorts, from westerns to fantasies, from history to classics. His writing has followed suit across multiple genres, and his work has appeared in U.S. and Canadian periodicals. 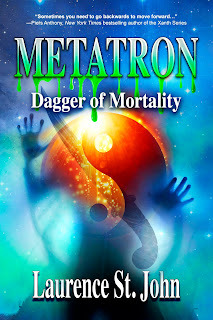 His first novel, High Stakes, was nominated for a Peacemaker Award by the Western Fictioneers in their Best First Western Novel category, and is a current nominee in the RONE Awards, in the category of American Historical. When the idea for Rawhide 'n Roses came up, I was immediately intrigued. I like to challenge myself and wondered if I could write a short romance story. I’d had an idea brewing for a while for a contemporary story about a pair of youths that meet at a riding stable and fall in love. 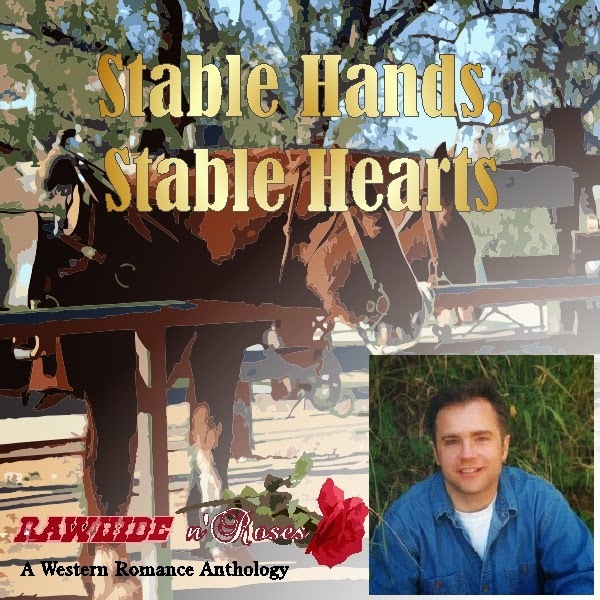 Rawhide 'n Roses was the impetus I needed to get Stable Hands, Stable Hearts out of the idea drawer and into the world. The road to published author has been a long one. I’ve always loved to write, but, as with most other writers, it was a hobby that always had to come last, after all other responsibilities were taken care of. So actually getting down to it has been kind of off-and-on. Beyond high school level creative writing, I’m self-taught, so the learning took a while in itself, and is still on-going. I had a few short pieces published early on, then nothing for years. The effort put into finding markets and sending work out, often again and again after rejections, can feel harder than actually researching and writing and rewriting. My first novel, High Stakes, made the arduous journey of finding the right publisher before it found a great home with independent Musa Publishing. 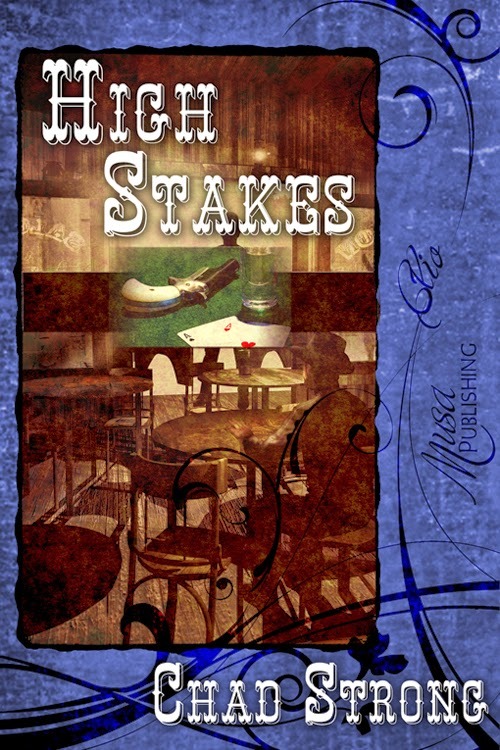 Book-wise, my latest release is High Stakes, a western historical romance set in Victoria, BC, Canada. I’ve combined my love of Victoria and its history with my love of western stories, so it’s a Canadian western with all the gunfights, and saloons, and romance you’d expect, but with a look at aspects of Victoria’s history that most people aren’t familiar with. Today, Victoria is promoted in tourism circles for its strong British heritage. But it’s often forgotten that it had its frontier days as well, much like the American towns we automatically think of in the Old West. In High Stakes, young gambler Curt Prescott returns home to Victoria after a three-month poker circuit on the mainland. A new “Moral Action Committee” has sprung up in his absence. Headed by the wife of the new preacher, the committee threatens to cast out all soiled doves and gamblers from the city. He meets the new preacher, “Bud” Andrews, Bud’s shrewish wife, Sarah, and their idealistic daughter, Mary. Bud seeks to convert Curt while Curt plans to destroy the committee, even if it means seducing Mary to shame the family. Pressures mount for Curt as he tries to help his young constable friend keep the peace with a notorious lowlife, while at the same time trying to ease his jealous girlfriend Del’s insecurities. As Curt falls in love with Mary, the battle for his lifestyle becomes a battle of life and death, and of love lost and found. Thanks for moseying along to my blog, Chad. Hi Alison - I finally got here! Thank you for having me - it's been great fun writing the story and getting to know everybody. I think it's cool that there's us two Canucks on this R'N'R Roundup! Chad, I'm from BC, and it's delightful to see that you have highlighted our frontier history, which is so often overlooked! I have Rawhide and Roses and will be reading your story today! Hi Melodie - great to meet you! Nice to hear from another BC'er. 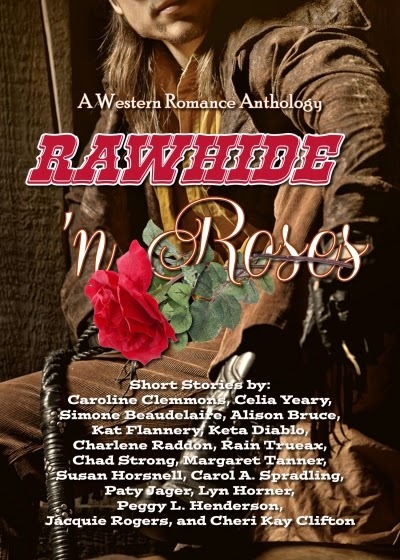 I hope you enjoy all the stories in Rawhide'n Roses! Hey there, Chad, great to see you over here on Alison's blog. Loved your story, Stable Hands, Stable Hearts - clever title. And I have High Stakes on my tbr list. I'll enjoy reading about you northerners! Several of our Anthology authors are from Texas, but my home state is the Cornhuskers - Nebraska. Hi Cheri - Nice to see you again! I'm glad you enjoyed my story, and thank you for planning to read High Stakes. So you're from right smack dab in the middle of the US -- head straight north and you'll find the Manitoba prairie - probably quite similar climate. Excellent story, Chad! I'm anxious to read High Stakes, too. Have had it for a while, since you were a guest on Romancing The West, but I was a judge in the Peacemaker this year so had to read dozens of books (most were great, but still, I didn't get to pick my reading material), and that's why I haven't been able to read your book yet. Thanks, Jacquie! I can imagine you had your hands full! I hope you enjoy High Stakes when you get the chance.